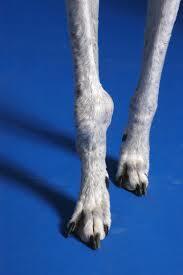 Osteosarcoma “Bone cancer” is the bane of all long-legged breeds, including the Greyhound. 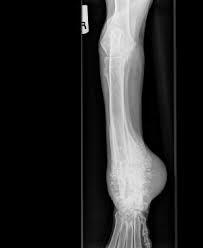 Previously, a diagnosis of this horrible, excruciatingly painful disease was a death knell for your beloved pet. However, more and more research is being focused on this condition, and almost every day new protocols are being published for its management. The results of new treatments are encouraging for successfully extending the life of its victims, with the one-day goal of developing an osteosarcoma vaccine. If confronted with this disease, you will no doubt be faced with making some heart-wrenching decisions regarding your beloved hound and the path to take.